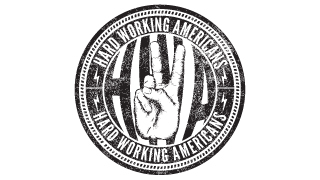 Hard Working Americans is made up of Todd Snider, Neal Casal, Chad Staehly, Dave Schools, Jesse Aycock, and Duane Truck. Led by Snider’s intrepid vocals and backed by a band of ace players, the Hard Working Americans create fresh song arrangements to tell stories of and for every man and woman. The band released their self-titled debut album in early 2014, followed by The First Waltz later that year. Their third album, Rest In Chaos, will be released in mid 2016.